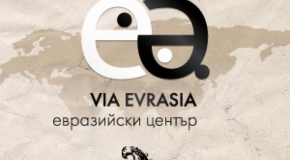 The Eurasia Center “VIA EVRASIA” for M.A. students and Ph.D and Postdoctoral researches [was at the Faculty of History at Sofia University, 2012 – July 19, 2017] is offering an academic analysis of History, Geopolitics and Culture of Eurasia, East Europe, Russia, Caucasus, Black Sea − Caspian region, Central and East Asia. The academic center was founded as part of “Young Scientist − 2011” project of National Science Fund of the Ministry of Education and Science of Bulgaria. 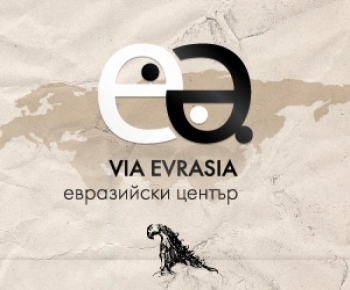 The academic staff of “VIA EVRASIA” is composed primarily of young researchers interested in History of Russia−Eurasia from Department of Early Modern and Modern History of Faculty of History at Sofia University. The co-workers of Eurasia Center are prominent scientists in Russian and East European History which keeps the fragile thread of continuity in historical science. Since the collapse of the USSR there has been a wide discussion on Eurasian history. The Eurasia concept still remains very popular in Post-Soviet Russia. On the one hand, there is a close connection between Eurasian theme and the Geopolitics in the Post-Cold War international relations since the transformation of the Cold War in hot spots areas. On the other hand, the Eurasian culture represents the harmonic symbiosis of East and West. Since the 19th century when the eurasian space became part of the Russian Empire the Russian historical experience combines the European culture with the Christian spirituality and the Eurasian statehood. The Eurasia Center “VIA EVRASIA” is created with the purpose of keeping the academic parameters of the Russian−Eurasian History as a balance of its over politicized image in the contemporary information space. The Eurasia Center will promote the historical knowledge of Russia and Eurasia by its yearly edition - the ALMANACH “VIA EVRASIA”. The first volume is dedicated to prof. Emil Mihaylov. He was one of the most respected researchers in the field of Russian Medieval History which worked in the Sofia University. The symbol of silver eagle from the cult complex in Voznesenka (Ukraine) takes part in the beautiful mythology of our Medieval History. The Archeology Prof. Stancho Vaklinov proposes in his book about the Old Bulgarian culture the hypothesis for connection between Khan Asparuh and the artefact. For us is not important who was the owner of the silver eagle, but the Eurasian trajectory following the paths of the eagle, of Khan Asparuh, and of Bulgarian culture, enriched by its Eurasian and European origins. We would like to thank the head of Bulgarian National Museum of History − prof. Bozhidar Dimitrov, for the cooperation and for giving us the opportunity to take pictures of the copy of the silver eagle.